Imagine going to an after work class, spending a few hundred, or even a thousand dollars to join, then graduating with the same knowledge that someone else gained who simply went online and looked at free articles and videos. With the internet today, you have just about every mobile app blog at your disposal for free or at a very low cost. Finding inspiration for your mobile app design and learning how to promote the darn thing raises various questions for all iBuildApp users. And although we try to cover everything from marketing to moving around features on the iBuildApp blog, it’s always nice to receive a fresh perspective from elsewhere online. With the help of some of these amazing mobile app blogs you can save the cash you would have spent on a mobile design class and use this expert advice to push your mobile strategy forward. 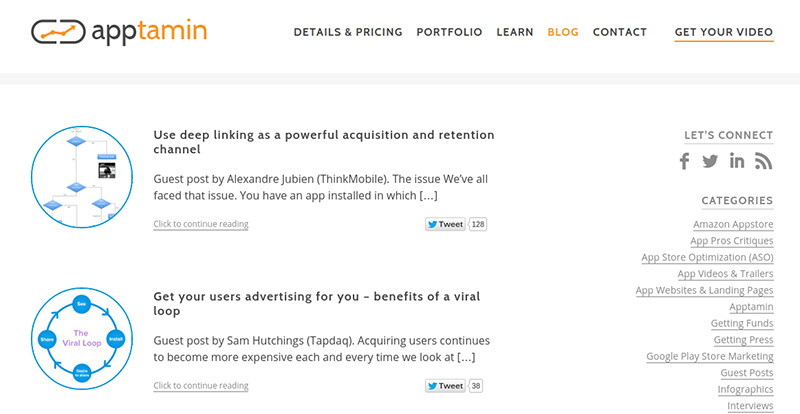 Keep reading to learn more, and feel free to bookmark these sites for the future. 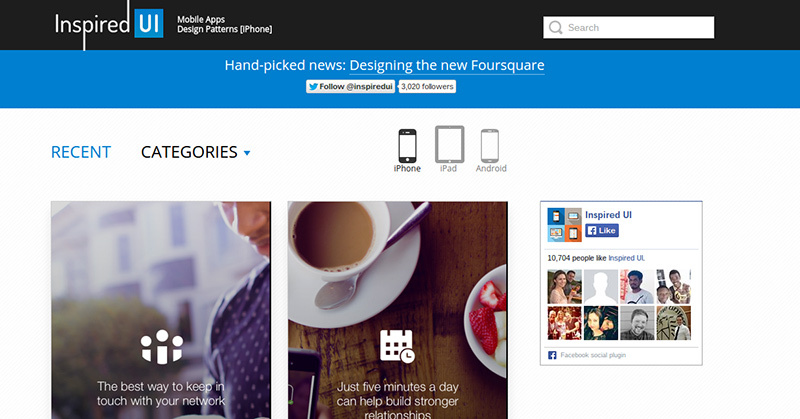 You want your mobile app to end up looking well-designed, right? With App.itize.us you can always check in and compare your current design to those that are considered the best in the world. This website is strictly for inspiration and seeing which elements are crucial for making a mobile app work well. 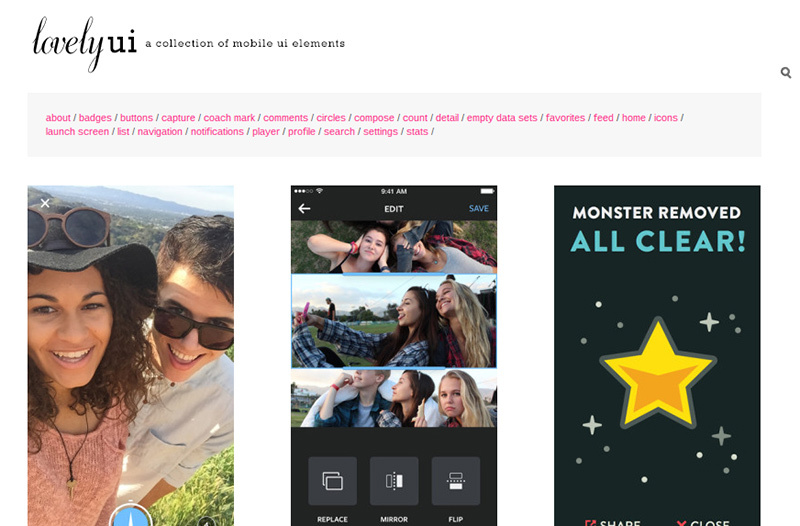 Browse through the stunning images and jot down elements that your app is missing. Flyosity focuses on Mac, iPad and iPhone design, so you won’t find anything for Android users out there. However, iBuildApp has direct integration and clear instructions for publishing your mobile app to the iTunes App Store, so this mobile app blog is a wonderful resource for seeing how to best compile your content for the interface. 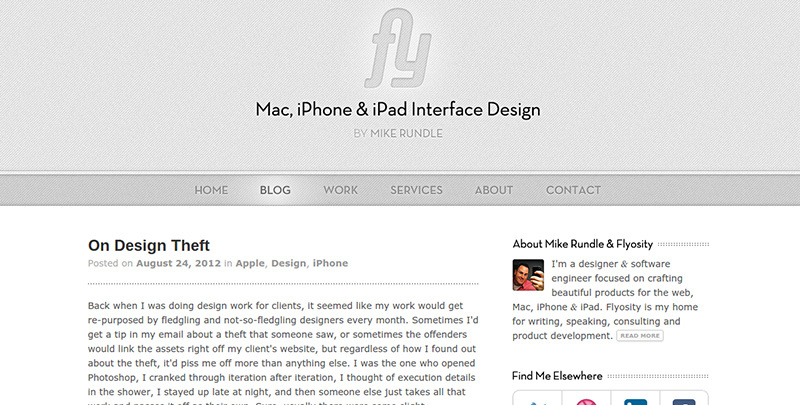 Mike Rundle runs the show, and he outlines everything from design theft to making round rectangles look great. Beautiful Pixels offers a nice way for you to stay up with the mobile industry trends and even find information about marketing your app. Many of the blog posts are reviews of apps on the app stores, giving you direct feedback on what the writers feel are good and bad features. Apptamin is a service that builds marketing messages and videos for you mobile apps, but the blog is where the true magic happens. The dedicated following is known to share articles about app store optimization, unusual marketing techniques and how to get more of your customers to download your apps. This is a true gem in terms of app marketing knowledge, so start digging in to learn about topics such as mobile app keywords, mobile app retention and deep linking. 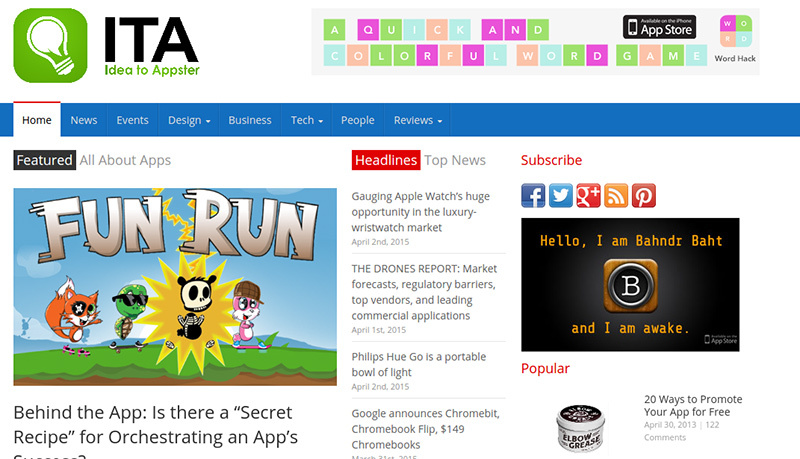 Smashing Magazine is an extremely popular publication that covers everything from web design to WordPress essentials. They also provide a solid collection of articles focused on the mobile industry, with Android and Apple optimization tips, design patterns and how to keep your development process simple. IdeaToAppster is a relatively new blog, but it serves up content for those interested in starting an app from scratch and bringing it to fruition. The blog creators realize that the core reader demographic consists of people who want to make money with their apps, so they cover design tips, recent industry news and marketing essentials. Dribbble isn't exactly a blog, but it's a hub for designers to reveal their own designs and discuss them with other people. Sharing is encouraged, and the platform serves as a way for designers to get feedback and receive exposure for their designs. 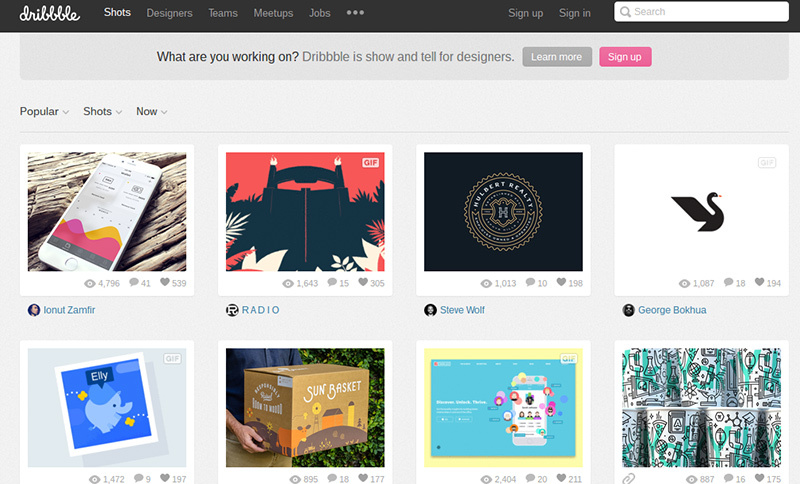 You can always upload your own designs, but the main reason Dribbble is on the list is because it provides a huge collection of striking designs, all available for you to pull inspiration from. Lovely UI is a collection of mobile UI elements, catering to the smaller ingredients that go into each mobile app. The screenshots detail everything from simple buttons to login forms, and you are able to quickly post the images on Pinterest for later viewing. The Inspired UI blog provides a more detail-oriented approach, since they upload images of mobile app design patterns, showing nothing but sleek interfaces, buttons, images and tabs. Once again, this is a place for gathering inspiration for your own iBuildApp designs, so feel free to browse through for the ultimate collection of mobile app images. As always, don't forget to bookmark the iBuildApp mobile app blog for some solid tips and tricks on marketing your own mobile app, working with the iBuildApp interface and even making money with your apps. That said, leave us any questions or concerns you may have in the comments section below.